The unique design of the feed tube does away with the need for a pusher! 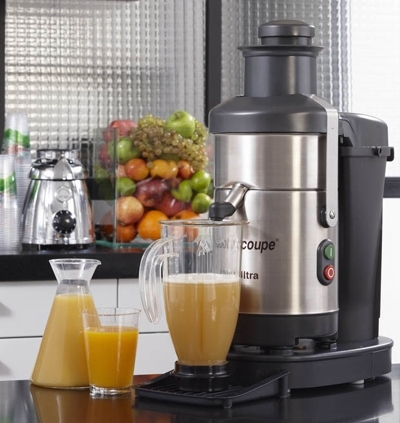 You can now process high volumes of top-quality juice quickly and effortlessly! The powerful, resilient commercial-grade motor operates at a speed of 3.000 rpm, meaning that the juice oxidizes less quickly. The resulting juices are particularly smooth and bursting with flavour. The noise levels of the J80 Ultra are so low that it can be used right in front of the customer. The basket can be removed for easy cleaning without using a special tool.